Good decision makers have the ability to see what is actually happening in a situation. They also see the potential choices for going forwards and the consequences of each option. They then make their decisions based on this information. Individuals may have this capability in one area but not in others. They may have it when focusing on a particular aspect of science, medicine, people management, business or whatever. But they may not show this skill in other areas of their life. Looking at your own life, can you think of a specific area in which you have this ability? This could be in your personal or professional life. It is probably an area where you able to quickly see patterns. What do you do to clarify what is actually happening in such situations? How do you establish the desired picture of success? 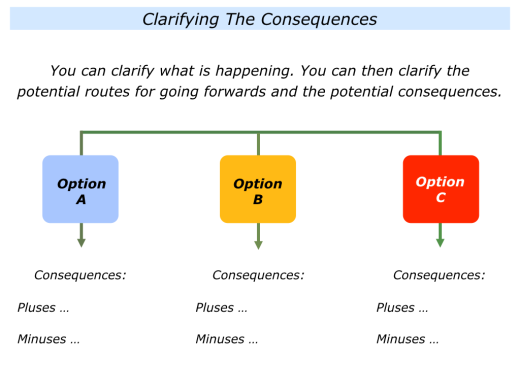 How do you clarify the potential options for going forwards and the potential consequences? If appropriate, what do you to act on this information? 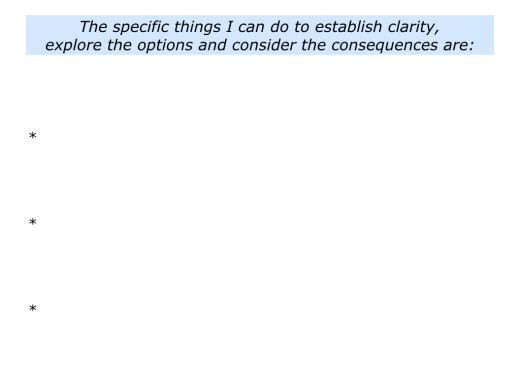 Describe the specific area where you have the ability to establish clarity, explore the potential options for going forwards and consider the possible consequences. Describe the specific things you do to take these steps. 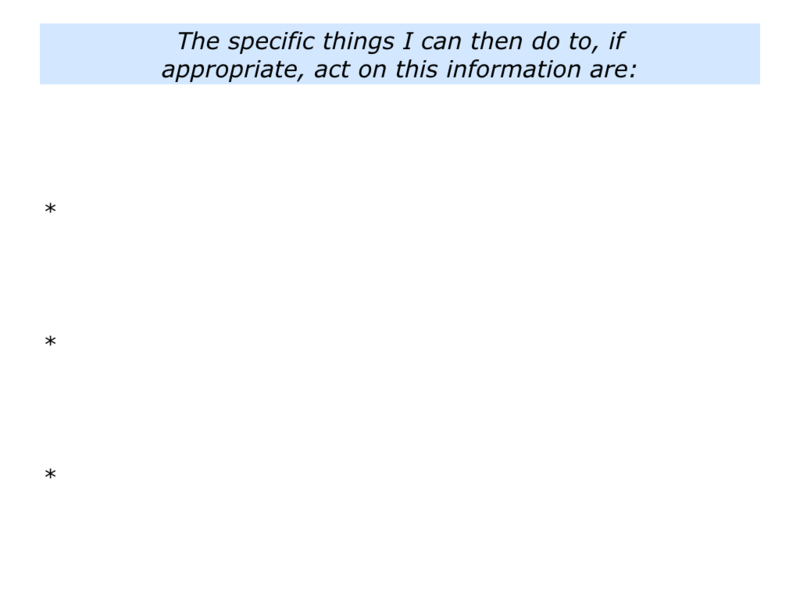 Describe the specific things you sometimes do to, if appropriate, act on this information. To clarify their successful and unsuccessful behaviour patterns. To clarify the consequences of these patterns. To choose the route they wanted to follow in the future and the consequences of following this route. Building on this approach, I was then encouraged to study successful teams and organisations. This involved clarifying the specific things that people did to achieve success. Based on this work, it became more possible to identify both the successful and unsuccessful patterns that people could follow in the future. This also led to understanding the consequences of following each route. 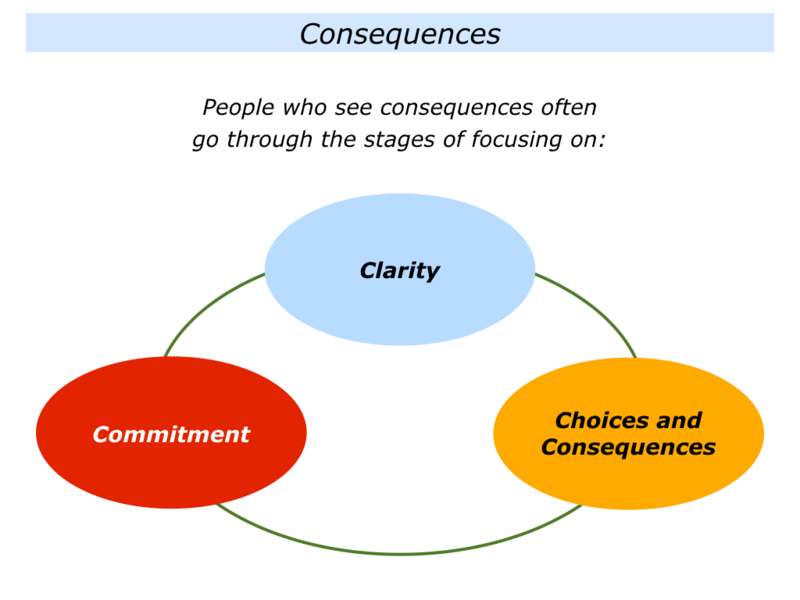 Different people have the ability to see consequences in different areas. They may do this when studying people, organisations, science, technology, mathematics, nature, politics, societies or other systems. Imagine that you have this ability in certain situations. It may be that you take the following steps to see potential consequences. Depending on whether you are a paramedic, leader, crisis manager or whatever, you will look for different things in the situation. 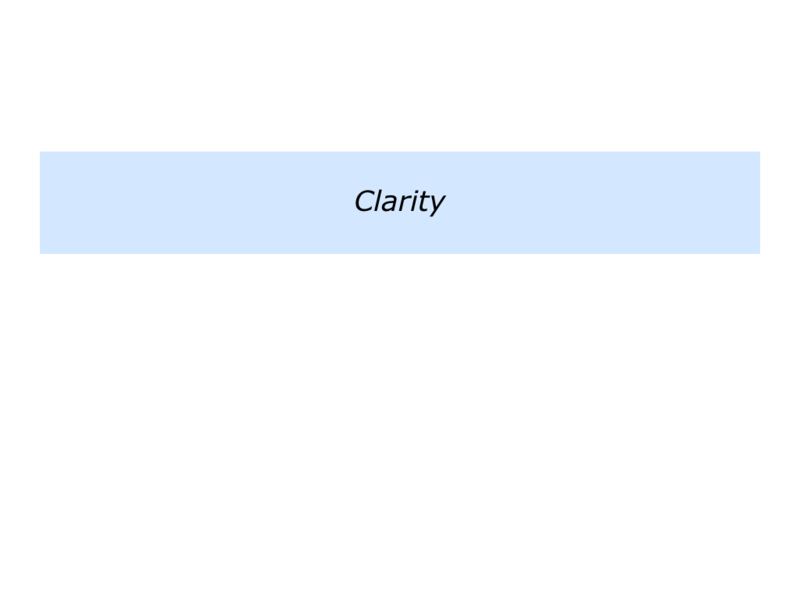 Whatever your role, however, you may start by establishing clarity on two levels. 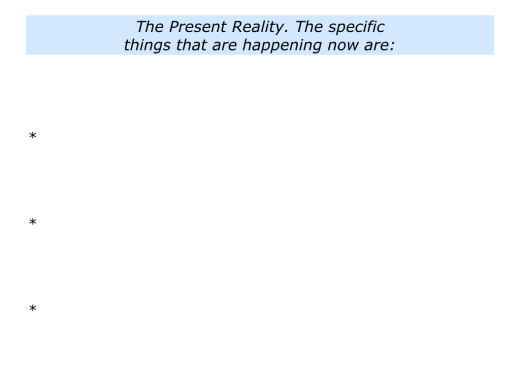 The Present Reality: You can establish what is actually happening now in the situation. 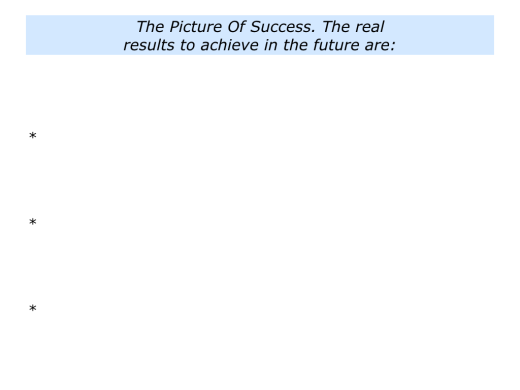 The Picture Of Success: You can establish the desired picture of success for the future. You will have your own approach to gathering this information. It may be, however, that you ask some of the following questions. Looking at the situation, what are the facts? What has happened and what is actually happening? What will be the consequences if these things continue to happen? If people are involved, what are the facts? What have the individual people done or what they are now doing? What has been their behaviour? 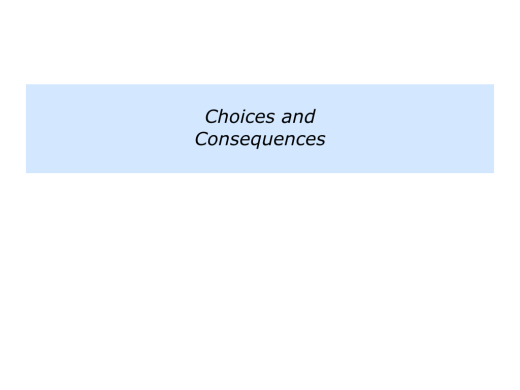 What have been the consequences? What will be the consequences if people continue to behave in these ways? Looking at the situation, can I see any patterns? What are the successful patterns? What are the unsuccessful patterns? What will happen if these patterns continue? Looking ahead, what are the real results to achieve? 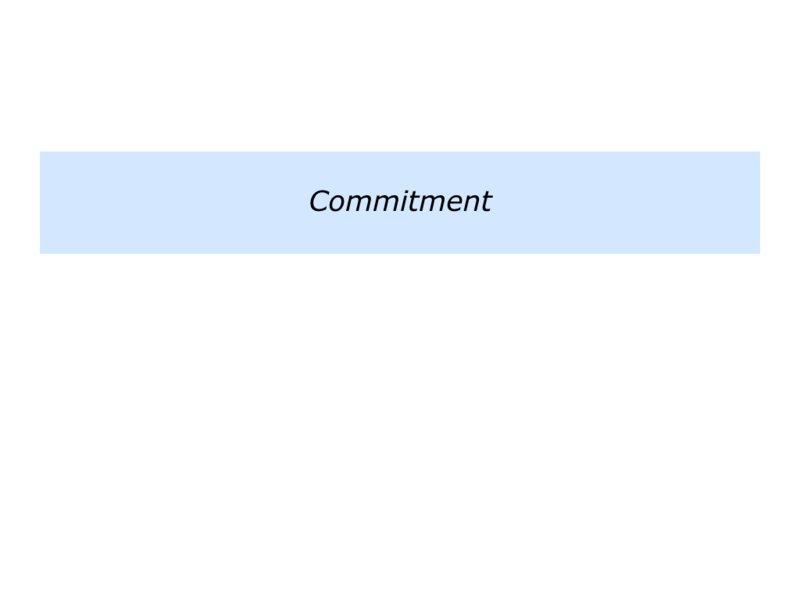 What are the short, medium and long-term goals? What is the desired picture of success? Good decision makers recognise there are always choices for going forwards. Each choice does, of course, have consequences. Bearing this in mind, you may ask yourself the following questions. What are the things that could happen if events continue in the same way? What will be the consequences? 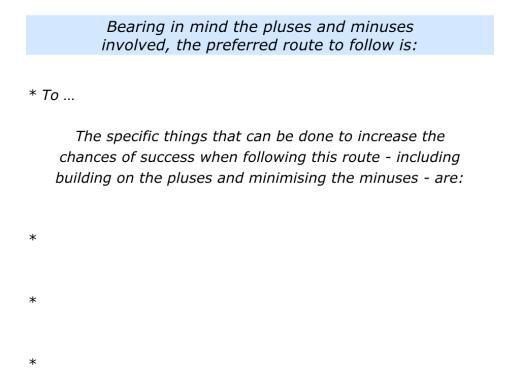 Bearing in mind the picture of success, what are the potential options for going forwards? 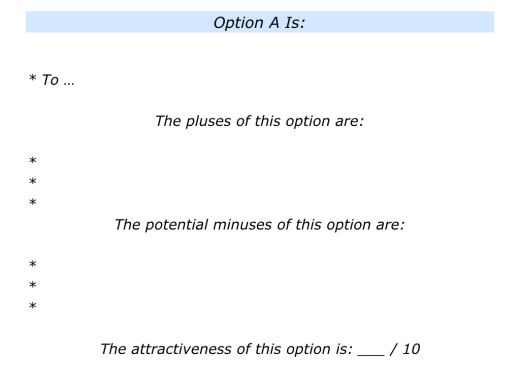 What are the consequences – the pluses and minuses – of each option? 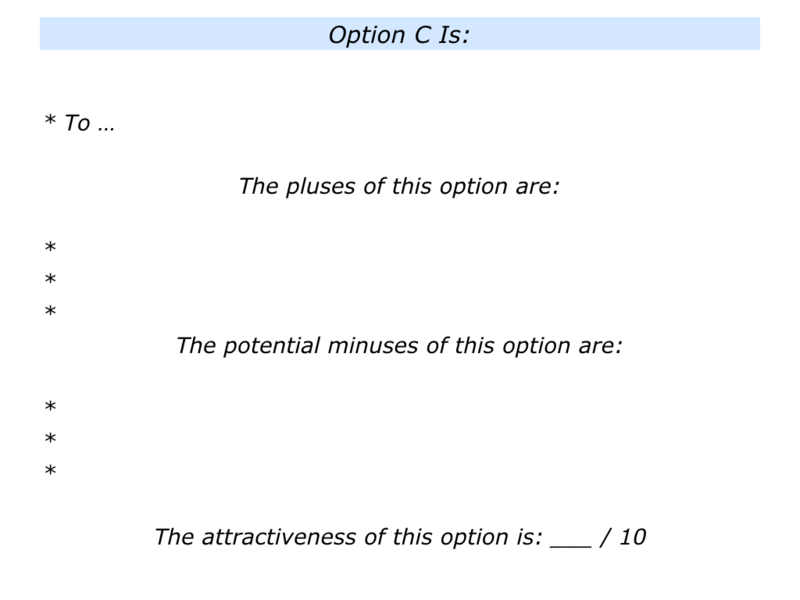 On a scale 0-10, what is the attractiveness of each option? Are there any other potential solutions? Good decision makers then commit themselves to pursuing their chosen route. Sometimes they may pursue a combination of routes. You will have your own way of making this choice. It may be, however, that you ask some of the following questions. Bearing in mind the picture of success, what is the preferred route to follow? 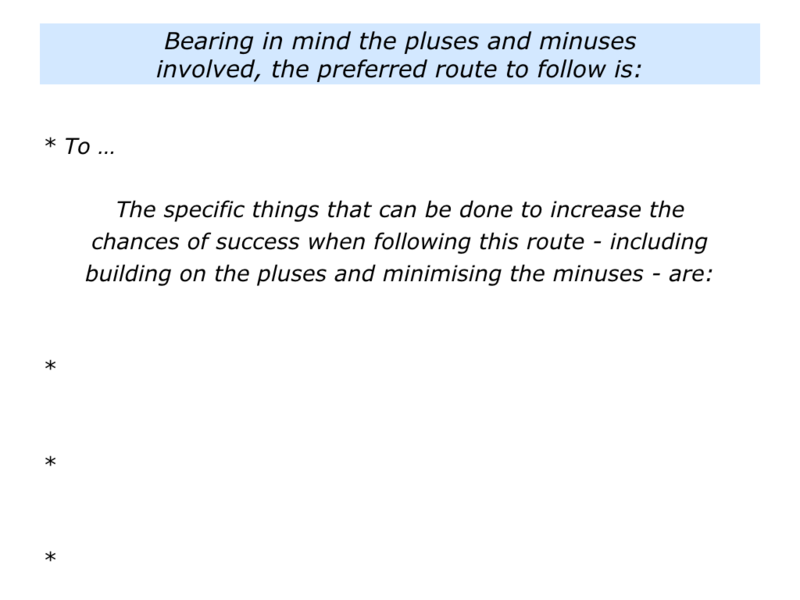 How is it possible to follow this route in a way that maximises the chances of success? How is it possible to build on the pluses and minimise any minuses? What else can be done to improve the chances of success? Different people have the ability to see consequences in different situations. Nevertheless, it is possible for them to improve this capability. One approach is for them to go through the stages described in this article. It is to focus on clarity, choices and consequences. It is then to commit themselves to their chosen way forwards. Let’s return to your own life and work. 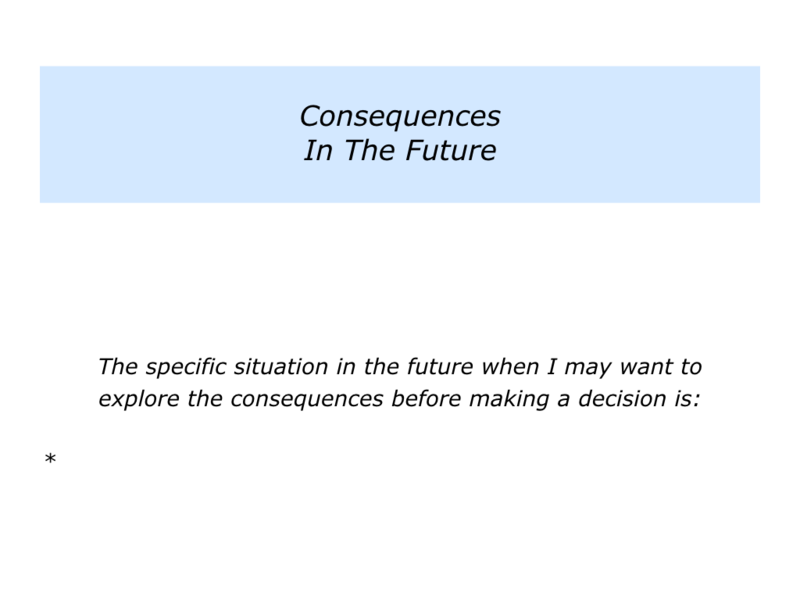 Can you think of a specific situation when you may want to consider the consequences before making a decision? You may want to take this step when managing a transition, dealing with an illness, leading a team or tackling a specific challenge. Looking at the situation, how can you establish clarity? What can you do to clarify what is happening in the situation? What can you do to clarify the picture of success? How can clarify the potential options for going forwards? 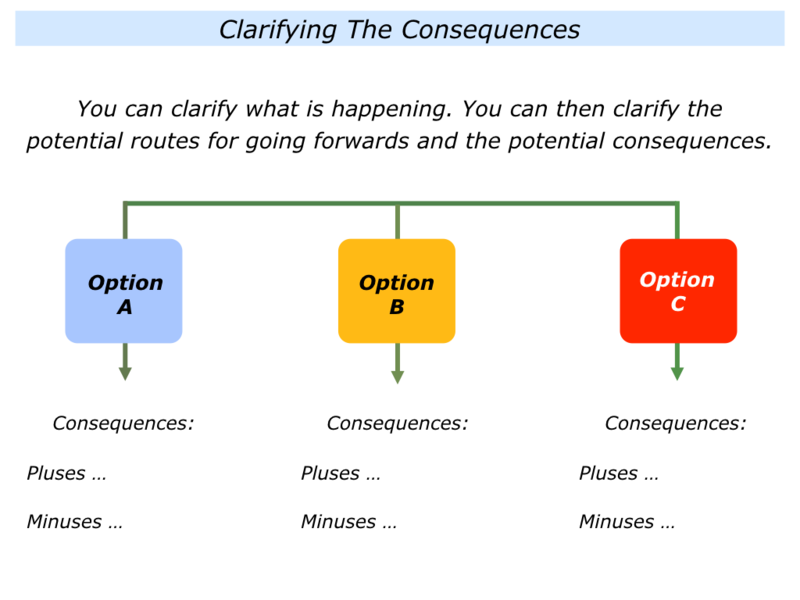 How can you clarify the consequences of each option? 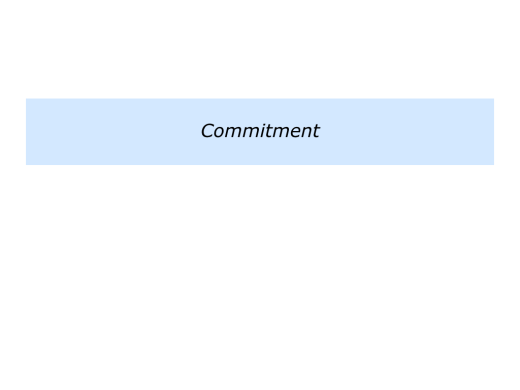 What can you then do to commit to your chosen decision? 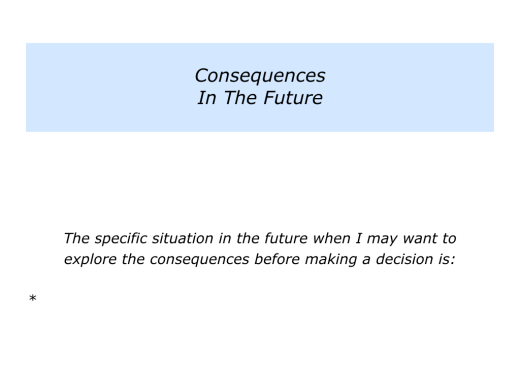 Describe a specific situation in the future when you may want to consider the consequences before making a decision. 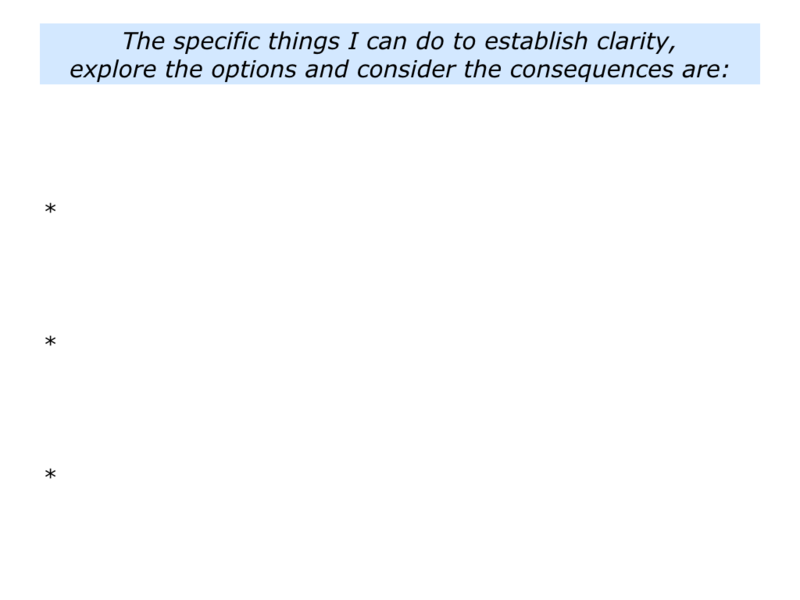 Describe the specific things you can do to establish clarity, explore the options and consider the consequences. 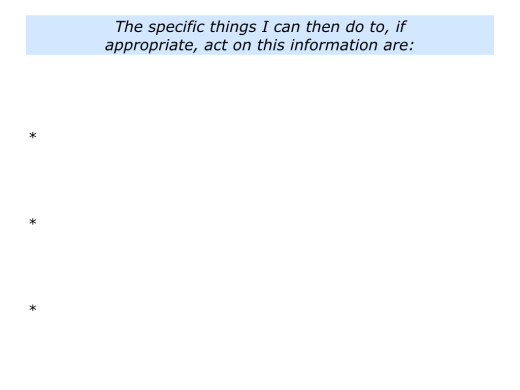 Describe the specific things you can then do to, if appropriate, act on this information.